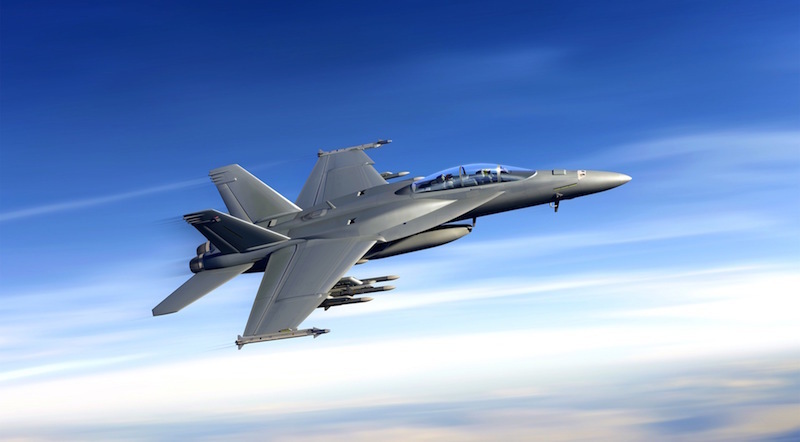 Boeing has recently been awarded a $219.6 million delivery order for the design, development, test and integration of the conformal fuel tank in support of the F/A-18. Work will be performed in various locations, and is expected to be completed in July 2022. The F/A-18 and other legacy fighter platforms are currently undergoing multibillion-dollar international and U.S. upgrade programs. Boeing offers the Advanced Super Hornet, an update of the F/A-18E/F Super Hornet. Upgrades to the Advanced Super Hornet will be offered as new-builds or for retrofit. Many of the features are already being retrofitted onto the U.S. naval fleet. One of the Advanced Super Hornet upgrades is the shoulder-mounted conformal fuel tank. The conformal fuel tank can hold up to 3,500 pounds of fuel, for a range increase of 125 nautical miles. The Typhoon, meanwhile, is undergoing a conformal fuel tank retrofit as part of its P4E upgrade program, and conformal fuel tanks are offered as part of Boeing’s very attractive F-15 2040C. Finally, Robertson Fuel Systems offers a conformal fuel tank for BHI Squared Commercial Hawks, which are aftermarket commercial offerings of the UH-60 Black Hawk. The modification carries 100 gallons of additional fuel and increases the range of the commercial S-70 by 124 nautical miles. And Arista Aviation offers the Arista Hawk, which includes modifications such as auxiliary fuel tanks.